There's still time to sign-up for summer watersports classes for adults. 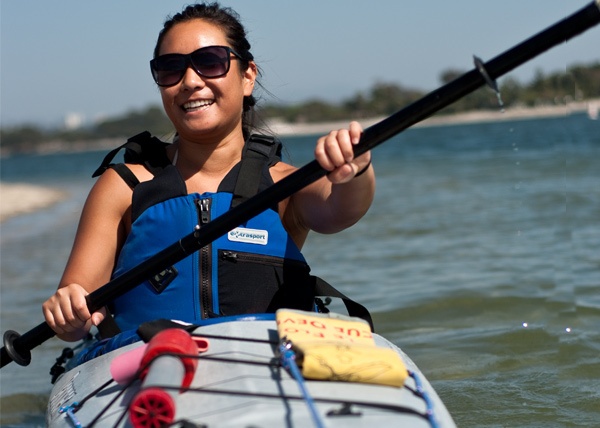 Summer Session 2 of SDSU Exercise and Nutritional Sciences watersports classes run July 8 through August 15. Current SDSU students can earn college credit, but anyone interested in learning a new watersport is welcome to enroll. ENS classes are a great value and offer students the opportunity to take a longer term class and gain more in-depth knowledge of the sport. After 6 weeks of class, students will have had plenty of on-the-water practice for a complete aquatic experience in the sport. Classes offered in Summer Session 2 include beginning surfing, intermediate surfing, stand up paddling, sea kayaking and beginning olympic rowing.